I really like the way the word "nerdy" is made up from actual chemcial elements - makes me so happy! 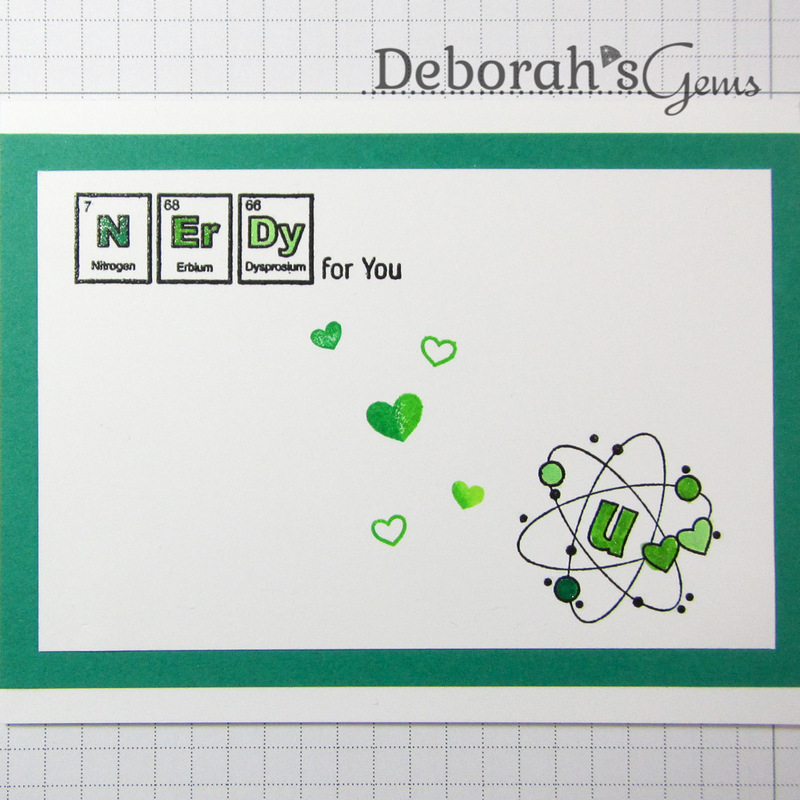 In my stash is a very old (and now discontinued) stamp set from There She Goes with this wonderful "atomic" structure image and I think it goes so with with the sentiment. I used Zig paint brushes to colour the letters and hearts and added some clear Wink of Stella for shimmer. I layered the panel on emerald green card and then attached it to the base. On the inside is a mat layer of green card and on the white panel I added a sentiment and another image. This is going to go in my stash of cards that I send to Jonathan, together we make a great team. So I'm going to submit this to CASology - CAS#223. Oh yes, it also works for our challenge at The Male Room - TMR#48 where our theme is SCIENCE. I've managed two cards for their challenge this week. That's all for now! 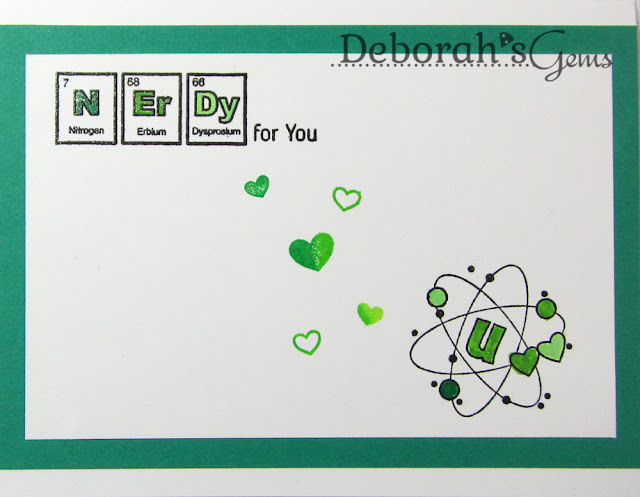 Awesome card, Deborah! 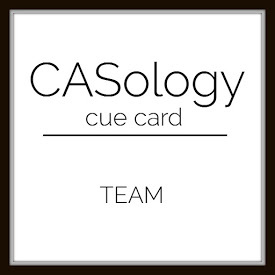 Love the all the nerdy elements ;) Thanks for playing along with us at CASology this week! Plenty of fun in this card, Deborah! JAcquie stole my pun - I adore the nerdy elements also! ;-)! Great that you could join us at CASology this week!